The following is an excerpt from an article written by Dr. Alan Beck, the co-author of "Between Pets and People: The Importance of Animal Companionship." The full article is unfortunately no longer available at the Veterinary School at Tuskegee, which which Dr. Beck was affiliated. There was a woman who lived in Philadelphia who was severely limited in her job options: because of her dog, she had to have work where she could go home every afternoon to care for it, and she couldn't travel. Dr. Beck knows people who don't take vacations because they won't kennel their pet. "They're as possessive and protective as they would be with their children." But it's difficult to define any of those cases as obsessive, Dr. Beck noted. "There are people who love golf, who focus every weekend or vacation around golf," he said. That doesn't mean they need to seek help. At least, it doesn't if you're a golf-lover yourself. Lavishing pets with seemingly disproportionate amounts of attention is nothing new, said Dr. Aaron Katcher, associate professor emeritus of the University of Pennsylvania, and co-author with Dr. Beck of "Between Pets and People: The Importance of Animal Companionship." The ancient Greek historian, Plutarch, described people treating pets as family members. Caligula, the demented emperor, appointed his horse as co-regent and co-consul of Rome. The difference, perhaps, is that people in America and similar countries now have more time and resources to spend on their pets, Dr. Beck said. In the past, only the rich and powerful could afford to treat their pets so well. "Our sphere of concern is allowed to expand because we now have time to do it," he said. "We always loved music, but now we put a few thousand dollars into stereo systems." People have also become more sophisticated, he said. They work harder to ensure each other's well being, protect historic buildings, create national parks and take good care of their pets. Animal protection laws have only been around since the 1800s. It's a positive development, and pets tend to impact their owners in a beneficial way. Pets provide social support and have a powerful influence on people's ability to stay healthy and live longer. The presence of social support accounts for an 11 to 15 percent variance in rates of illness and mortality, Dr. Katcher said. "Without social support, we die younger and have more disease." Now, some people can't get social support from other human beings, and that's where pets come in. 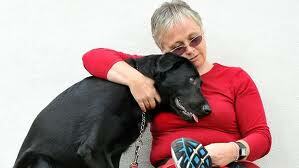 "Some people who have difficulty making contact with other people can make contact with their pet," Dr. Katcher said. "It's difficult to tell what's too much what you may think is excessive may be keeping someone else alive." And pets can be useful another way. People who have suffered emotional trauma can use pets as a stepping stone, said Dr. Sue-Ellen Brown, a clinical psychologist and staff member of the Center for the Study of Human-Animal Interdependent Relationships, Tuskegee University School of Veterinary Medicine. "They trust and are able to care about a being that won't hurt them, and then they move on from that," she said. "It's a crutch, but then these people get better and move off that. I saw it as a positive thing." Dr. Brown worked with a man who had been sexually abused as a child. She would bring her dogs into the office, and at first he was terrified of them, afraid of their teeth, worried they would bite him. They didn't, of course. "He learned that these things are not going to happen; his fears didn't come true." Eventually, the man obtained a few cats for himself. "They didn't criticize him, they didn't attack him, if he got angry and yelled, the cats would react with fear but then they came back," she said. 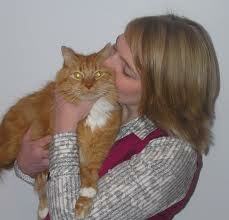 "I think the day-to-day interaction with the cats eased the fear. It's a big step to people, but I do think that it helps." But sometimes, psychologists theorize, people can get stuck on that step. They don't move off from animals; they concentrate all their energy and emotion on pets instead of people. Dr. Brown and Dr. Katcher learned an interesting fact while working on a recent project. They studied veterinary technician students, and found that the higher the students' pet attachment, the higher their level of dissociation. Dissociation is a coping mechanism, a person's ability to separate from himself to put distance between himself and reality, common in cases of abuse or trauma. A person held hostage, for example, would have to be able to say, "This is not really happening to me," in order to keep from falling apart, Dr. Brown said. "You would separate the memory because it's too traumatic; it helps you cope with something that's too overwhelming." The study, indicating that veterinary technicians are able to use that defense mechanism more than other people, doesn't mean that everyone interested in working with animals is doing so because of a traumatic background. But it does suggest that a subset of people who experienced abuse are attracted to animal interaction, Dr. Brown said. And cases do occur in which people are unable to move from animals to other human beings, said Dr. Nancy Hayes-Gary, a psychologist in Towson, Md., who specializes in working with abuse survivors. "The attachment gets exaggerated." 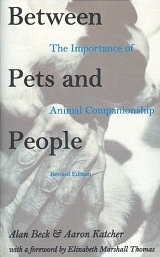 To learn more about the attachment of people to their pets, you may wish to obtain a copy of "Between Pets and People: The Importance of Animal Companionship."